Haha, you're welcome :) Have fun! Nice game mate. My score is 26 if any one wants to beat it. Very fun! The idea is pretty good, with the weapons doing different things. 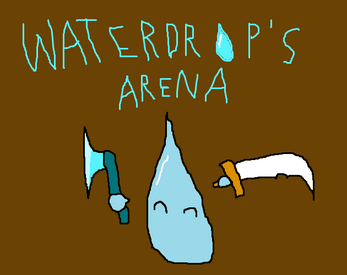 I also really liked the water-droplet jumping animation. The music is not bad in and of itself, but it needs to be longer, else it just gets very repetitive. I think that the collision is a bit off and I also noticed that you take damage when you hit an enemy, even though you have the sword. i made some changes in the collisions, i hope you don't have more problems with that! Really cool! not very innovative on the game design part (nothing wrong with that in itself) but still very fun to play.